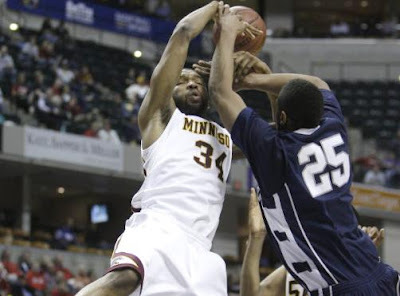 Penn State got hammered by Minnesota in the opening round of the Big Ten tournament, 76-55. It was even that close. This was a terrible season and now the suffering is over. Talor Battle had 10 but was basically a non-factor. Good thing I don't have to watch anymore of the Big 10 tournament. Now it's a wait and see what will happen with HC Ed DeChellis. I think the fans have made up their minds. On to good PSU news. Talor Battle Earns All-Big Ten Honors for the second straight year. The Blue-White game on April 24 will be televised by ESPN2.